If you want to make your truck look beefier and more rugged, then you probably want to add a lift kit and bigger tires. Once you have bigger tires, you're going to have problems with things like mud spatter & rock chips. You might even get into trouble with the cops, depending on your state & local laws. You can avoid these and any other problems with a set of Stampede RuffRidrz fender flares. These are not your typical cheap plastic add-ons. Stampede fender flares are made out of heavy duty ABS and custom molded to each vehicle for the best fit. 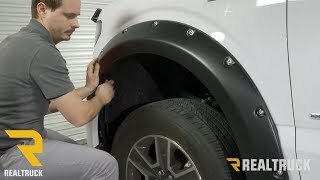 Each set of fender flares also has a rubber gasket that seals any gap between your fender flares and your truck. This prevents any water leakage or paint damage from occurring. The bolt-on appearance of the RuffRidrz fender flares gives your truck that beefy, off-road look. 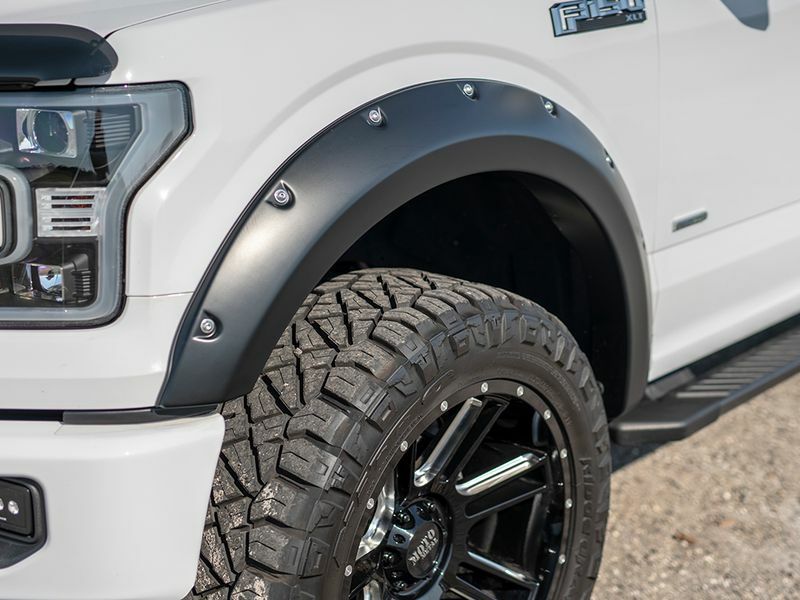 They also have a finish that allows you to custom paint the fender flares to match your truck or you can go with a matte black textured finish. In addition these flares give you an additional 2 inches of coverage. You are now able to dress your truck with the biggest tires you can find without much hassle. Protect your truck and give it a rugged, manlier appearance with a set of Stampede RuffRidrz fender flares! Stampede is offering a limited lifetime warranty against defects in materials or workmanship on the RuffRidrz fender flares. Stampede RuffRidrz Fender Flares can be installed easily at home. The installation instructions are clear cut and easy to follow. For additional information see the install manual below or call us at 1-866-309-1907 or 701-253-5906.